This website was created for Dragons, a Youth Football (aka. Soccer) team which plays for the Florida Kraze Krush (FKK). 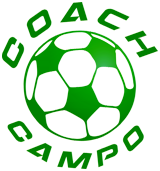 Coach Cesar Campo is committed to develop Soccer players able to reach their greatest potential through practices that build character, sportsmanship and teamwork. We practice every Tuesday on Waterford Lakes Recreation Center at 6:00 PM, and during the tournament the games are played on Saturdays. Please feel free to click on any link on the left side to find out Scores, Upcoming Games, Standings and much more.